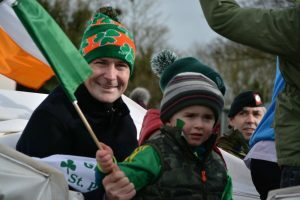 Calling all Rhode & Offaly Supporter’s To Pack Tullamore This Sunday !! Rhode Senior Footballer’s take on Mullinalagta St.Columba’s of Longford in Bord Na Mona O’Connor Park at 1:30pm this Sunday November 11th. 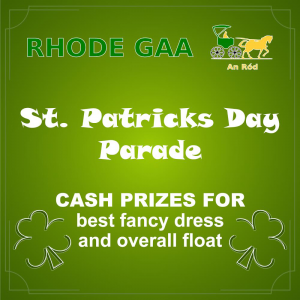 Lets’ Pack Tullamore with great support Up Rhode !! Rhode Junior footballer’s defeated Kilclonfert in the division 4 league on a score-line of 2-08 to 1-04 on Sunday afternoon last in Kilclonfert which leave’s Rhode top of the league table. Team: Phil O’Connell, John Murphy, Declan Murphy, Karl Green, Jack Kilmurray, Keith Murphy, Carl Hannon, Joe Spollen, Mossy Muldoon, James Murphy, Robert Leavy, Frank Glennon, Kieron Hope, Jack Downing, Steven O’Connell. Subs Peter Murphy, Luke Doyle, Dan O’Brien, Graham Gorman. Rhode U’17 footballer’s were defeated by Na Fianna in the U17 Shield A final on a score-line of 2-15 to 1-09. Rhode were only 3 points down at at the break but Na Fianna got the momentum in from the start of second half and fifteen minutes in the score board read Na fianna 1-12 Rhode 1-04. . While our boy’s will feel disappointed they can hold their heads high as in has been a very positive year for them getting to the the A championship quarter finals where their opponent’s ended up winning the championship. You lad’s will be back well done on your great work ethic and commitment in 2018. A massive thank to the management of Tom Coffey, John Kilmurray and Alan McNamee for the wonderful work they did with the team . Team: Tadhg Galvin, Jordan Kilmurray, Rhys Cleere, Dylan Kilmurray, Aaron McBride, Sean Briody, Aaron McDermott, Liam Hagney, Gavin Young, Luke Spollen, Barry Coffey, Jioe McBride, Liam Curley, Aaron Kellaghan, Evan Rigney. Subs Shane Murphy, Jack Murphy, Killian Murphy, CIan Murphy, Dylan Foy, Jack kerrigan, Harry Jones. Best Wishes to U17 footballer Dylan Kilmurray who sustained an injury during the game last week we wish you a very speedy recovery. 2018 County Final Dvd’s are available to Order @€10 by contacting Robert Kellaghan 0876452964/ Joe Malone 0860553879. 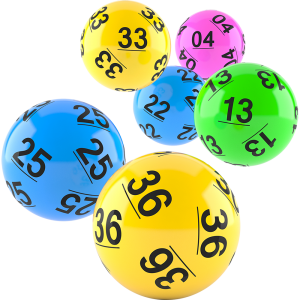 There was no winner of the Rhode GAA Lotto Draw that took place on the 31st of October for a Jackpot of €3,000. The numbers drawn were 1 19 22 30. 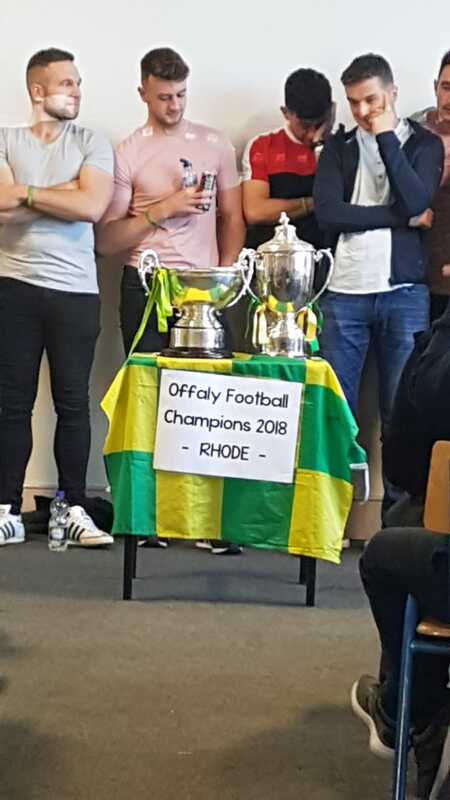 The club would like to thank all those who supported the draw and thanks to O’Toole’s for the use of their premises and for their help and cooperation. The following matched three numbers and received €100 each.